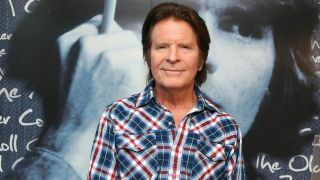 Former Creedence Clearwater Revival frontman John Fogerty is facing a new lawsuit from his ex-colleagues. Doug ‘Cosmo’ Clifford, Stu Cook and the widow of Tom Fogerty have launched legal action in Nevada, claiming he’s illegally using the band name in association with an upcoming tour. The singer is hitting the road to perform a set consisting of tracks from the band’s 1969 albums Bayou Country, Green River and Willy And The Poor Boys. But Clifford and Cook say he’s in breach of a 2001 agreement not to use the CCR label. Legal fights over naming stretch back to 1996 – 24 years after the band split – when Fogerty objected to the other party’s use of the title Creedence Clearwater Revisited. The case was settled by agreement five years later. Those words appear to have been used against him, with Clifford and Cook arguing that his tour’s association with their albums creates confusion as to whether the surviving original members are involved. They’re asking for unspecified damages and a jury hearing. Meanwhile, Fogerty is thought to be preparing a lawsuit alleging the other band haven’t paid him due royalties.